ILab Aries: Compact benchtop unit, 280 photometric tests/hour, 160 ISE/hour, wide menu of analytes, 56 reagents on board + ISE, extensive range of validated applications for clinical chemistry, specific proteins, drugs of abuse testing. ILab 650: The ILab 650 offers the highest “productivity to size ratio”: a powerful maximum throughput of 800 tests per hour (400 photometric+400 ISE), a fast turnaround of STAT samples and all the results handled in real time. 96 reagents on board + ISE. Extensive range of validated applications for clinical chemistry, specific proteins, drugs of abuse testing. 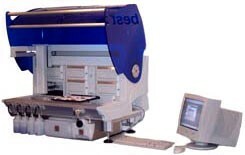 ILab Taurus: High analytical productivity in a small footprint. Intergrated PC and workstation. Continuous sample loading: up to 100 samples on board. Continuous reagent loading, no need to open the main cover: total safety. Clot detection Sensor. Reflex tests to confirm measurement accuracy. ISE Module Autocalibration: automatic maintenance and calibration. Up to 300 methods and 200 tests available on-line at one time. Extensive range for clinical chemistry, specific proteins, TDM, drugs of abuse . ILyte: One-minute electrolyte analysis. 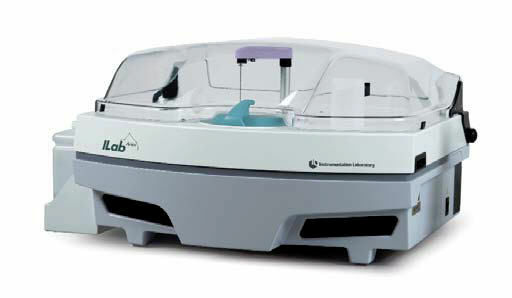 Autosampler for quick and easy sampling. Fully automated operation, calibration, sampling and self-monitoring. Simple to operate and maintain. Complete system of reagents and QC products. 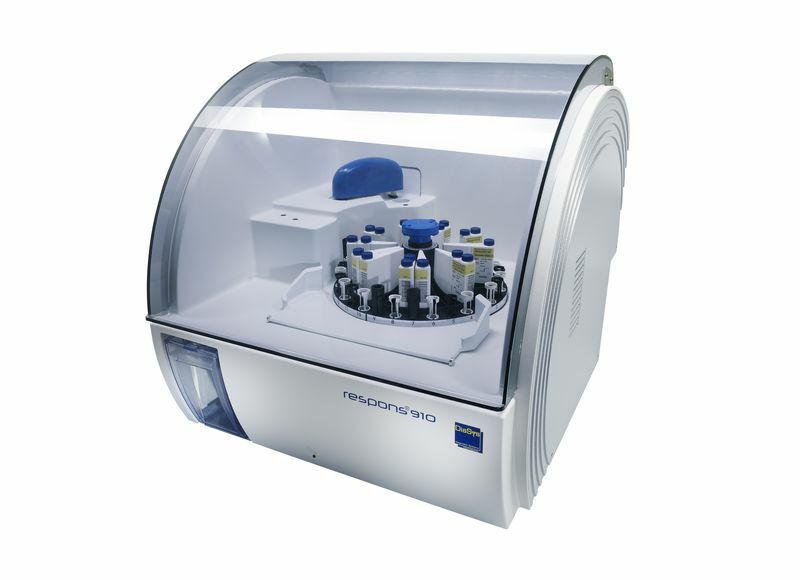 respons910: Compact desktop unit, 150 photometric tests/hour for mono-reagents, 100 photometric tests/hour for 2-component reagents, wide menu of analytes: 60 methods available, 30 reagents positions plus 30 samples positions, low water consumption of < 1 liter per hour. 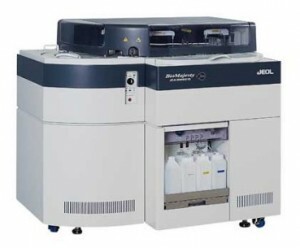 BioMajesty JCA-BM6010/C: Floor stand random access clinical chemistry analyzer, 800 photometric tests/hour, 600 ISE/hour, clot detection, liquid level sensing and sample probe crash protection. Wide parameter panel available with ready to use bar coded reagents with high stability. 48 simultaneous assay measurements. 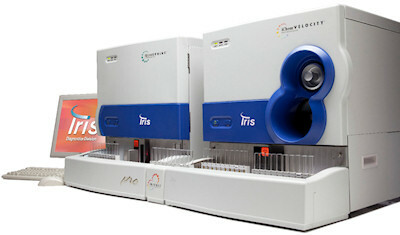 iRICELL 3000: Complete Urinalysis Workcell. Combines the iQ200 SPRINT automated microscopy system with the iChem VELOCITY automated urine Chemistry system. iRICELL 2000: Complete Urinalysis Workcell. Combines the iQ200 ELITE automated microscopy system with the iChem VELOCITY automated urine Chemistry system. iQ Series Urine Microscopy Systems: Proprietary software auto-classifies and quantifies 12 urine particles and provides further sub-classification of 27 particles. Images document urine particles morphology and can be stored for patient monitoring and training purposes. On-screen verification of digital images. Streamlined workflow with auto release capabilities to the LIS. Dramatically improved CV’s and reduced errors. iQ200 SPRINT: The fastest automated system on the market, meeting high volume productivity and workload requirements. 101 microscopic samples/hour. iQ200 ELITE: Manages medium to high volume workload. 70 microscopic samples/ hour. iQ200 SELECT: Perfect for low volume workload. 40 microscopic samples/hour. iChem VELOCITY Urine Chemistry System: Excellent low-end sensitivity. Utilization of ascorbic acid detection to prevent potential interference with key chemistry assays. Effortless operation, continuous strip loading capability. 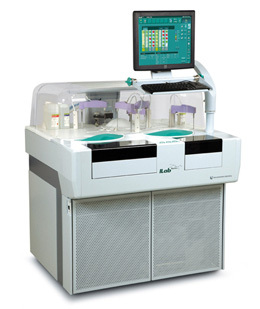 Seamless intergration with iQ200 SPRINT and iQ200 ELITE automated Urine Microscopy Systems. HLC-723GX: HbA1c results traceable to International Standards. 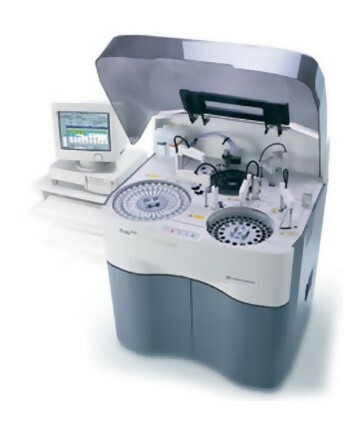 With cap piercing, positive sample identification, automated maintenance, the GX is simplicity itself. Stable HbA1c with variant detection in 2.2 minutes, with less than 1% CV. Results unaffected by the presence of the most common hemoglobin variants or hemoglobin derivatives such as labile HbA1c and carbamylated- or acetylated hemoglobin. 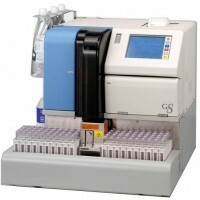 HLC-723G8 Variant mode: Precision (direct determination of stable HbA1c with less than 1% CV), Speed (stable HbA1c result with variant detection in 1.6 minutes), Operational Simplicity (with cap piercing, positive sample identification, automated maintenance), Absence of Interference (in the presence of the most common hemoglobin variants, HbF or hemoglobin derivatives, such as labile and carbamylated hemoglobin, HbA1c results are unaffected). Unique software to ensure the most advanced data management capabilities. Customisable alarm/ flag system ensures an unparalleled level of patient safety. Traceability to International Standards. 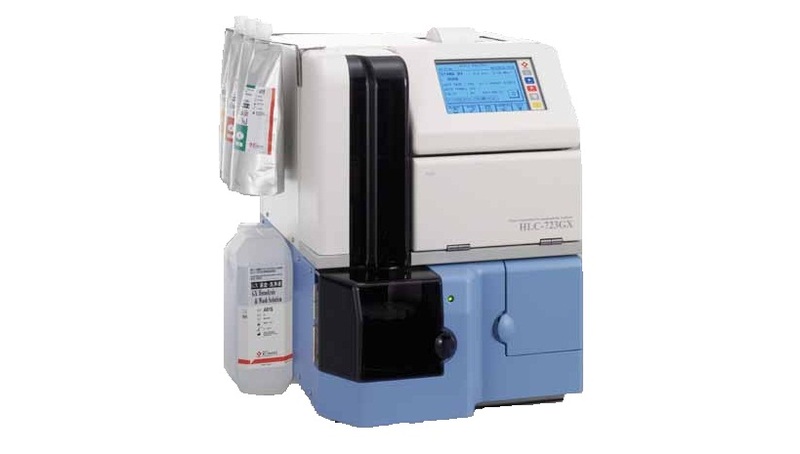 HLC-723G8 β-Thalassaemia mode: With over 35 years of world leading HPLC experience, Tosoh’s ion exchange HPLC offers highly reliable and precise quantification and detection of hemoglobins F and A2 and allows the detection of a wide range of abnormal hemoglobins. The G8 offers you reliability, precision and easy-of-use. The unique TSKgel column dedicated for HbF and HbA2 measurement ensures high quality results with excellent separation capabilities. Best 2000: A fully automated microplate immunoanalyzer designed for medium-large laboratories. Four microplates are processed simultaneously with up to 48 tests in one profile. Automation of sample dispensing with disposable tips, reagent dispensing, microplate washing, incubations (time and temperature), photometric reading and data reduction. Positive sample and plate identification. Rapid Tests: Manual and rapid use reagents, based on latex, red cell agglutinations or membrane immunochromatography for syphilis, rheumatic diseases, toxoplasmosis, rotavirus, rubella, infectious mononucleosis. Bioelisa: Microtiter plate ELISA tests for hepatitis B (all markers), hepatitis A, hepatitis C, hepatitis E, HIV 1+2, HTLV I+II, syphilis, toxoplasmosis, rubella, CMV, HSV, Chagas’ disease and Helicobacter pylori, all of which are suitable for automation. Confirmatory tests for HIV-1, HTLV and HCV, based on the western blot procedure. Quantex: Turbidimetric reagents for use on automated clinical chemistry systems for rheumatic diseases (CRP, CRP Ultrasensitive, RF, ASO), immunoglobulins (IgG, IgA, IgM, IgE), complements (C3, C4), ferritin, transferrin, soluble transferrin receptor, haptoglogulin, A-1 antitrypsin, HbA1c, Lp(a), β-2-microglobulin, A-1-acid glycoprotein, microalbumin, myoglobin and digitoxin.